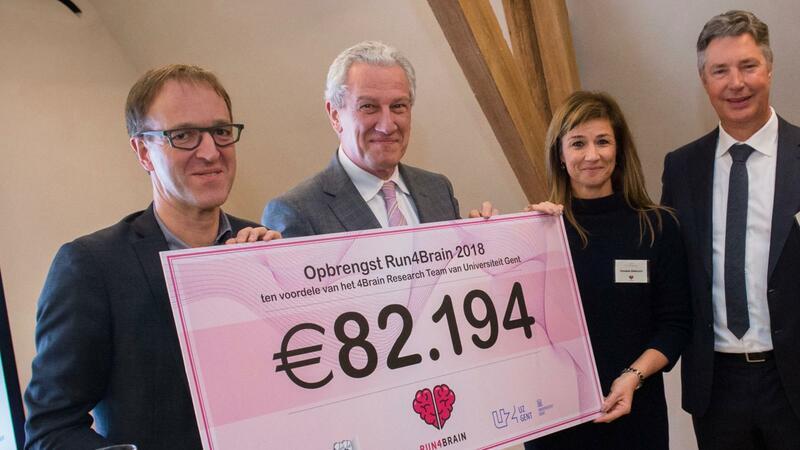 Run4Brain is an initiative from Schelstraete Delacourt Associates and Ghent University to raise money for brain research through participation in the '20km de Paris'. In the first edition, on 14 October 2018, 60 runners from six countries ran the race and raised over € 80.000. The money will be used to fund an additional monitoring unit in the Ghent University Hospital. More news on Run4Brain 2019 will be announced soon. In the meantime... relive a great day and enjoy the aftermovie! Why Run4Brain? Because one in three people will eventually suffer from brain disease. Yet only 10% of scientific resources are spent on brain research. A significant gap, that can only be filled by private initiatives such as Run4Brain. Therefore, Paul Boon and Vanessa Delacourt initiated Run4Brain, a project that is close to both their hearts and minds. Professor Paul Boon MD, PhD, is a neurologist and the founding father of the 4Brain research team at Ghent University Hospital that aims at unraveling the complexity of brain mechanisms in order to identify new therapies for the most prevalent neurological disorders. Thanks to this research, Ghent University Hospital has been able to conduct groundbreaking international research trials. In this way, the brain research team wants to make a difference for the ever-growing group of one in three people who live with brain disorders. Mrs. Vanessa Delacourt is partner at Schelstraete Delacourt Associates (InterSearch), an internationally renowned executive search company. She holds a Master’s Degree in Clinical and Developmental Psychology from Ghent University and was awarded a Business Administration Degree by the Vlerick Business School. She is confronted on a daily basis with both the complex and variable psychological aspects of human behavior that is determined by a close interaction between brain and environment. Also, in her personal life she has been coping with brain disease. Therefore, she has taken the initiative to support brain research in both a sportive and leisurely manner. The cheque was handed over to Professor Rik Van de Walle, rector of Ghent University, and Paul Boon, Director Ghent Institute for Neuroscience.